Partner, Pakharenko and Partners IP and Law Firm. Alexander Pakharenko is an Attorney-at-Law, registered Patent Attorney and a Partner with Pakharenko & Partners in Kyiv, Director of the Ukraine Alliance Against Counterfeiting and Piracy. Graduate of the Kyiv Polytechnic Institute, Kharkiv Institute of Intellectual Property, Law Faculty of the Interregional Academy of Personnel Development in Kyiv, Academy of Advocacy of Ukraine. He possesses more than 15 years practice in the field of IP, which encompasses consulting on all aspects of IPR protection, licensing and enforcement, representing clients in law-enforcement and customs agencies, civil and commercial courts, legal counseling on anti-counterfeiting and anti-piracy measures and developing anti-counterfeiting and anti-piracy strategies. Alexander takes an active part in conducting training sessions for law-enforcement and customs officers. Deputy Head of Legal Department, Pakharenko and Partners IP and Law Firm. Evgeniy Kompanets has three majors (including intellectual property). Between 2002 and 2005 he worked in the state system of intellectual property protection. He joined Pakharenko and Partners IP and Law Firm in 2005. His practice in the field of IP encompasses consulting on the issues of protection and enforcement of IP rights. Mr. Kompanets is particularly focused on anti-counterfeiting work in the framework of criminal and civil proceedings as well as customs law. Evgeniy also takes an active part in developing recommendations aimed at improving legislation in the field of IP and enforcement. He is a regular contributor to specialist publications and gives lectures to audiences. 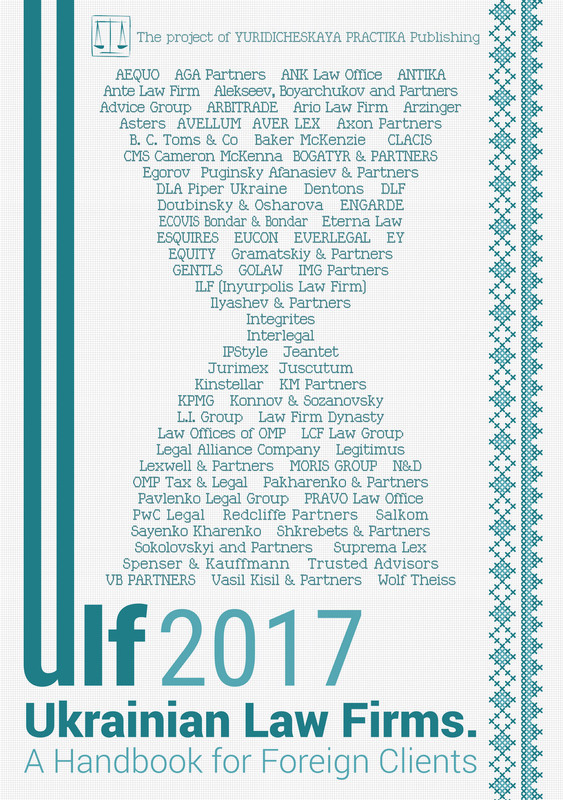 IP and Law Firm Pakharenko & Partners was established in 1992 and has offices in Kyiv and London. As a firm providing full IP service coverage we are keen to develop successful protection and enforcement strategies for our clients, covering the development of IP portfolio, acquisition of IPRs, commercialization of IPRs, enforcement and management of IPRs including patents (inventions and utility models), designs, trademarks and geographical indications, domain names, copyright and related rights, plant breeders’ rights at both national and international levels. Our staff also possess expertise in pharmaceutical law, competition law, media law, corporate and commercial law, commercial litigation. The company and its members are actively involved in the operation of a number of national and international intellectual property associations, such as: AIPPI, INTA, FICPI, LES, MARQUES, PTMG, ECTA, ACG, IACC, ICC/CIB, ICC Ukraine, IBA, European Business Association (EBA), American Chamber of Commerce (ACC) in Ukraine, Ukrainian Patent Attorney’s Association (UPAA), Ukrainian Alliance Against Counterfeiting and Piracy (UAACP) which is a member of the GACG Network, CIOPORA. In demnification of damages in the cases relating to IPR infringements performs two functions. The first one is compensation of property damage caused as a result of infringements and the second one is deterrence for potential infringers. Are There any Respective Legislative Provisions in View of the EU-Ukraine Association Agreement? The Articles 240, 240 of the Agreement on Association between Ukraine and the EU are implementing in Ukrainian legislation the provisions of Article 13 of the Directive 2004/48/EC of the European Parliament and Council of 29 April 2004 on the enforcement of intellectual property rights (hereinafter — the Directive). According to these provisions Ukraine shall ensure the availability of the compensation that shall be paid to the right holder in the extent compatible to the offense in order to indemnify the costs incurred by the right holder for elimination of the consequences of this infringement. What is the Current EU Practice in This Sphere? The EU Observatory on Infringements of IP Rights under the EUIPO decided in 2009 on the necessity to study the IPR enforcement practices existing in EU countries and evaluate the overall effectiveness of the legislative framework with regard to all categories of IP rights. In the framework of this work the report titled “Damages in Intellectual Property Rights” was published in 2010, which was further updated in 2014. It is particularly noted in the report that in some EU member states the compensation of damages is not ordered for all respective types of damages, limiting the types and amounts of the damages that may be recovered. Some courts in EU member states are not willing to order compensation of damages that had apparently been caused, but which are difficult to calculate precisely. It is emphasized in the report that as a result of these legal and practical deficiencies a certain part of the profit is often retained by an infringer, even if the civil proceedings initiated by a right holder were “successful”. In this case the legal costs or other costs spent for addressing this offence are usually covered by a right holder. As a result, economically, the right holder is the losing party, while the infringer is the winning one despite the court ruling (on recovery of damages) taken in favor of the right holder. According to the authors of the report, such situation is not a deterrent for potential infringers of IP rights since if the civil proceedings end up with such small amounts of economic punishments an infringer’s profit will be much bigger than the amount of the compensation he would have to pay to the right holder, and therefore such punishment will rather encourage infringers to commit further offences. As a result, the researchers conclude that the small amounts of compensation ordered by European courts are incompatible to the extent of the respective offences and the threats posed by counterfeiting and piracy, therefore taking such judgments not only fails to compensate the damages caused to right holders but also fails to prevent counterfeiters from committing offences and may even encourage counterfeiting and piracy economically. Are There any Ways to Improve the Situation? The experts participating in the European study propose the following measures. It is necessary to provide such rules for ordering compensation of damages under which no economic advantage shall exist for the infringer carrying out their illegal activity in the manufacture and distribution of counterfeit and pirated products. At the same, time the experts emphasize that such an approach should not be viewed as “punishing” but rather as “compatible” remedies that provide compliance with the requirement of the Directive regarding ordering compensation of damages that are to be “deterring”, and no “reward” should be left for the infringer either in the form of profit or any economic advantage. Upon calculation of damages almost all EU member states are taking into consideration the right holders’ lost profit, which is normally determined as the profits that could have been obtained by the right holder in the absence of any infringement or the profits that could be reasonably expected. In most EU member states compensation of damages is also ordered in the cases where counterfeit goods were seized prior to entering the market. Upon calculation of damages the quantity of the infringing goods is multiplied by the price of goods determined by the court, and in cases where the damages caused cannot be actually calculated, the court sets the damages as a reasonable lump sum (royalty) for each product which shall be considered as minimal compensation. Moral prejudice caused to the right holder shall also be considered, which is also the part of the actual damage caused. Since this kind of damages is difficult to assess, in most cases the amount of compensation is ordered at the discretion of the judges which tend to order that the moral prejudice be compensated as a lump sum. Also, the right holders may claim compensation of damages resulting from destabilization of the market, from damaging their image and business reputation, damages from the decrease of distinctiveness of trademarks, reduction of average prices for the products if they can support these claims with concrete and objective evidence. What is the Situation in Ukraine? Under Articles 16, 432 of the Civil Code of Ukraine, the right holder has the right to demand compensation, in particular with regard to the lost profit and moral damage, caused as a result of the infringement of IP rights. As a rule, the experts appointed by the investigator/court calculate the damages in the form of shortcoming in revenue based on the evaluation procedure of the accrual of revenue/income (by multiplying the quantity of the revealed and seized fake goods by the price of original goods) and the method of royalties. In this case the provisions of Article 22 of the Civil Code of Ukraine are applied, under which if a violating person receives incomes in this connection, the amount of lost profit to be indemnified to a person whose right was violated may not be less than incomes received by a violating person. It is particularly worth mentioning that, unlike in most EU member states, some experts and judges in Ukraine maintain the position according to which the indemnification of losses cannot be ordered if counterfeit goods were seized before entering the market. In practice, it is very difficult for a right holder to recover the costs/compensation, since most infringers realize the illegal character of their actions and are aware of the possible responsibility for the offence and, therefore, they do not register any movable or immovable property in their names, which makes it impossible to recover any costs from them (usually unemployed). Currently, the recovery of damages/compensation is rather an exception than a regular practice, but we may say that there is some progress. Professionals understand that the conscious actions of infringers are aimed at illegal profits and avoiding responsibility through property retention. Implementation of the deterrence function of damage recovery in cases related to IPR infringements shall contribute to the overall decrease in the scale of counterfeiting and piracy and creating favorable conditions for improving the investment climate in Ukraine.